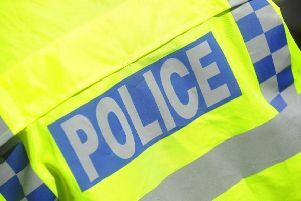 A wad of cash as well as a meat cleaver and burglars' masks were seized from university accomodation by a Northampton police unit. The Northampton Proactive Team are a selection of plainclothed police officers who specialise in arresting suspected dangerous criminals and drug dealers in the town. The team last week tweeted pictures of the burglary kit, complete with weapons and balaclavas, which it claimed to have recovered from university accomodation in Northampton. "Apparently this is how they give out student loans nowadays, one arrested for proceeds of crime #StopSearch," the tweet read. "Following on from cash seizure search at student residence uncovers criminality #NotInOurTown." The photos appear to show multiple mobile phones and a hold-all stashed with bank notes. A Northamptonshire Police spokesperson said: “We would like to thank the University of Northampton for their continuing support in tackling crime and assisting our investigations.